PLEASE BE AWARE THAT THE FOLLOWING INFORMATION CONTAINED HEREIN IS A GRAPHIC DESCRIPTION OF THE LIFE AND THE INJURIES SUSTAINED BY THESE CHILDREN. THIS INFORMATION IS FOR THE SOLE PURPOSE OF HIGHLIGHTING THE VERY SAD, REAL AND SHOCKING VIOLENCE THAT EXISTS WITHIN OUR SOCIETY. THE MAGNITUDE OF CRUELTY THAT MOST OF US CAN ONLY PRAY WE WILL NEVER SEE. Phillips, 27, looked straight ahead and showed no emotion as he has during the rest of the two-week trial. He made no statement before he was sentenced. Chandler’s family members whispered an emphatic “Yes!” and held onto one another as they heard Phillips convicted on all counts. “It would be an understatement to tell you this case was horrific,” prosecutor Verna Carpenter told the judge before Phillips was sentenced, struggling to control her emotions. Phillips was convicted of causing Chandler to die of starvation and dehydration while keeping him locked in a dark linen closet, surrounded by his excrement, while crying and screaming for something to eat or drink. Autopsy photos showed him so emaciated that his eye sockets and most bones in his body stuck out. The little hair that hadn’t fallen out from malnutrition was still standing up in the spikes that the little boy favored. Carpenter said she has her own 7-year-old, blond, blue-eyed son, and then broke off, choking back tears that she had held at bay during the weeks of trial. Prosecutor David Lamb came to stand beside her. “This case has taken an emotional toll on everyone,” Judge John Madden said as he imposed the sentence. Phillips’ parents left the courthouse, going down a side stairway to avoid reporters. Chandler’s mother, Christina Grafner, wasn’t present for the verdict. Younger said she was in the hospital. Jurors, who sat in the back of the courtroom for the sentencing hearing, declined to talk to reporters but clearly rejected the defense contention that Chandler died from undiagnosed diabetes. Phillip’s girlfriend, Sarah Berry, 23, pleaded guilty Monday to second-degree murder, sparing her a possible life sentence for a first-degree murder conviction. Defense attorneys and one expert pathologist contended that Chandler died of undiagnosed diabetes that caused his body to feed on itself. However, the bulk of medical experts who testified said there was no sign of diabetes in Chandler’s body. Phillips and Berry had not sought medical care for Chandler in the weeks before he died, while he was wasting away. Among the damning evidence was a cell-phone call in which Berry asked Phillips what to do after Chandler became so desperate for water that he threatened to escape from the closet, get a knife and kill them if they didn’t give him a drink. That call was made nine days before he died. During the two-week trial, jurors were given a grim description of Chandler’s final days. A mortuary worker who weighed him when he delivered his body to the coroner said he weighed 31 pounds. 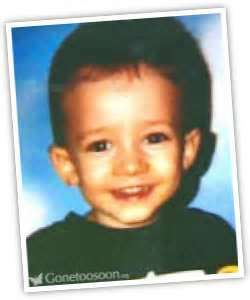 Doctors said it would have taken a week or two for Chandler to reach the level of starvation and dehydration he had when paramedics were summoned May 6, 2007, to find he was already dead. Prosecutors contended that Phillips and Berry waited several hours to call 911 while they ripped up and disposed of the feces-encrusted carpet from the linen closet. In the spring of 2007, Chandler had attracted the attention of teachers, social workers and police, after he came to school with his ear black. He told teachers “my daddy clobbered me” but later changed his story to say he had slipped in the shower. 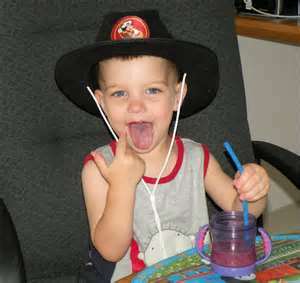 Chandler fell through the social services cracks and was returned to Phillips and Berry with no follow-up. His death prompted major efforts to examine what went wrong with his case. thanks, However I am encountering difficulties with your RSS. solution ccan you kindly respond? Thanx!! Tɦiѕ information iѕ pricelеss. When can I find out more?